The big drawback to juicing is that extracting the pulp takes out the fiber. That’s a good point. 1). Eat other fruits and vegetables or some starch to accompany your diet. 2). Take a fiber supplement if you’re fasting for more than 3-4 days. If you go longer than this you might start to notice your stools hardening and things might get……eh, unpleasant. If you know what I mean. 3). As I’ve stated before, it’s a good idea to start slowly with the habit before jumping right into a prolonged fast or something zany like that. If nothing else you need to get a grip on how you’re going to get a sufficient amount of fiber and troubleshoot other issues that might come up. 4). There’s nothing wrong with blending instead of juicing. The two are very similar nutrition wise. I just prefer juicing because it gives me a better energy lift and I avoid lots of plant milks due to the carrageenan. When I first started juicing I fell in love with it and relished the prolonged energy levels and feelings of well being, but began to run into roadblocks after about 2-4 weeks because it eventually took up too much total calorie intake. This is okay for 3-7 days perhaps, but can definitely create problems if it persists too long. For a while I took a fiber supplement, but I eventually decided against it since I don’t like the idea of inducing a synthetic element to my diet to compensate for a shortcoming in another area. I didn’t want one thing to lead to another. So instead I made sure to cook a decent amount of quinoa or barley in my rice cooker at night and eat it with meals and any discomforts quickly went away. Ultimately either solution works fine, you just need to choose the option that’s best for you. This should also serve as a warning to others looking to begin juicing. You should begin by using it as an adjunct to what you’re doing and not a replacement. Let its benefits slowly creep into your life, not wash them over. Great post. Last year I suffered pleurisy and pneumonia which was a great shock to me as I never get ill. I really battled to get over it but my wife bought a juicer when I was not recovering and within about a week I started to improve. So I too am a great believer in Juicing now but I agree with you one has to do it slowly. Yes, juicing is great, but best done gradually. Frankly, I think going on a huge fast cold turkey is a bad idea for most people. You can get the same benefits by just juicing regularly every day. I started using 2-3 tsp of Coconut Cream concentrate from Tropical Traditions, blended with 1cup of filtered water to make my coconut milk for smoothies. Works like a charm and avoids all those other “gums” , etc. Thanks Mark! This is useful because I avoid many plant milks now because of concerns about the thickening agents they use. Something like this sounds very helpful. 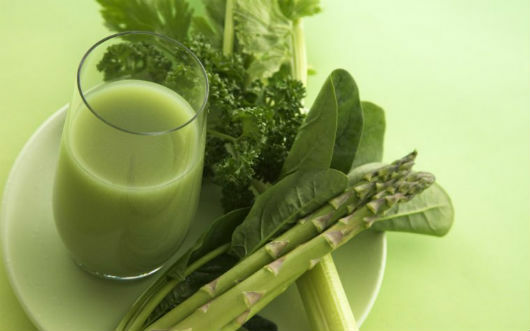 The thing with juicing is that despite it being extremely beneficial to the body, you’re removing the fiber which in turn raises your blood sugar.